Transcription factors known as TALE HDs have been independently recruited to perform the same new role in both brown algae and land plants. Brown algae and land plants are two groups of multicellular organisms that have been evolving independently for over a billion years. Their last common ancestor is thought to have existed as a single cell; then, complex multicellular organisms would have appeared separately in each lineage. Comparing brown algae and land plants therefore helps us understand the rules that guide how multicellular organisms evolve from single-celled ancestors. During their life cycles, both brown algae and land plants alternate between two multicellular forms: the gametophyte and the sporophyte. The gametophyte develops sexually active reproductive cells, which, when they merge, create the sporophyte. In turn, spores produced by the sporophyte give rise to the gametophyte. Specific developmental programs are deployed at precise points in the life cycle to make either a sporophyte or a gametophyte. Two proteins known as TALE HD transcription factors help to control the life cycle of single-celled algae related to land plants. Similar proteins are also required for the sporophyte to develop at the right time in land plants known as mosses. This suggests that, when multicellular organisms emerged in this lineage, life cycle TALE HD transcription factors were recruited to orchestrate the development of the sporophyte. However, it was not clear whether TALE HD transcription factors play equivalent roles in other groups, such as brown algae. To address this question, Arun, Coelho et al. 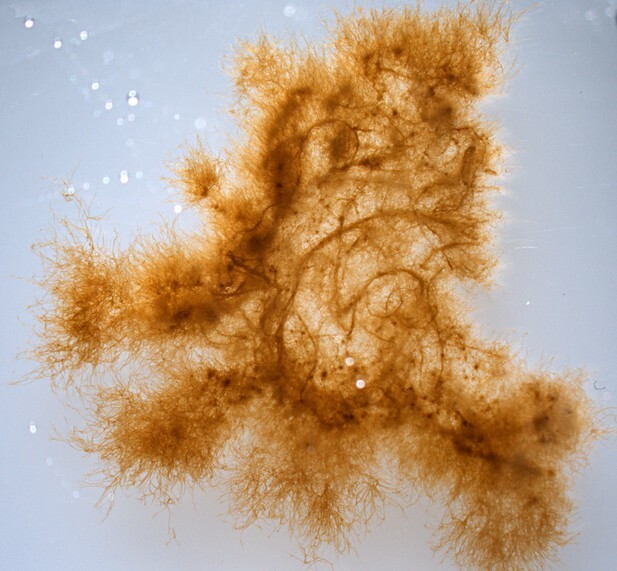 examined two mutants of the brown alga Ectocarpus, which produce gametophytes when the non-mutated alga would have made sporophytes. Genetic analyses revealed that these mutated brown algae carried changes in two genes that encode TALE HD transcription factors, indicating that these proteins also regulate the formation of sporophytes in brown algae. Taken together, the results suggest that TALE HD transcription factors were originally tasked with controlling life cycles, and then have been independently harnessed in both land plants and brown algae to govern the formation of sporophytes. This means that, regardless of lineage, the same fundamental forces may be shaping the evolutionary paths that lead to multicellular organisms. Proteins similar to TALE HD transcription factors also regulate life cycles in other groups such as fungi and social amoebae, which indicates that their role is very ancient. It now remains to be explored whether such proteins control life cycles and developmental programs in other multicellular organisms, such as animals.